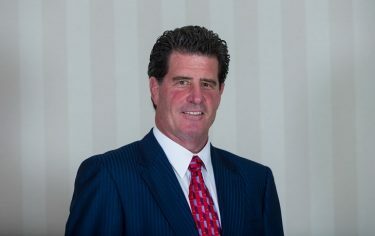 Tom Slowey was recently elected as Chairman of the Board of Governors for the National Wrestling Hall of Fame and was recognized as an Outstanding American by the California Chapter of the National Wrestling Hall of Fame earlier this year. Slowey — a wrestler at Penn State from 1979-83 who currently serves as a wrestling coach at West High in Torrance, California — was part of growing Platinum Technology to the sixth-largest software company in 1998. He went on to serve as executive vice president at Divine, Inc., a start-up specializing in creating, developing and investing in internet based business technology companies. Why are you involved with the National Wrestling Hall of Fame? I love wrestling and am committed to giving back to the sport that has given much to me. I truly believe in the National Wrestling Hall of Fame mission to preserve the history of our sport and honor those who have given so much to wrestling — whether through great achievement or service. National Wrestling Hall of Fame members are exceptional individuals who inspire and offer positive example to our country’s young adults. How do you use the skills from wrestling in daily life? If you truly commit yourself to wrestling it becomes a part of you. The lessons it offers stay with you forever. Wrestling instilled a perspective within me that I did not realize was there until I got out into the post-collegiate world. Long work hours did not phase me. Lofty corporate standards and goals did not intimidate me;I viewed them as a challenge. When I encountered setbacks or made mistakes — I got back up, re-grouped and moved forward. I was determined to succeed. I was quietly confident and believed in myself. In time I realized I was simply exercising the positive life traits wrestling had ingrained in me. Wrestling gave me the confidence to put myself out there and believe I can handle whatever comes my way. What’s the best part of being a wrestling coach? Being a wrestling coach allows me to give back to the sport that has given so much to me. It also puts me in a position to directly and personally affect, guide and mentor young teens while in the formative years of their lives. During the last 18 years I have been blessed to watch hundreds of high school students grow from tentative youth into confident, exceptional and productive young adults. How is wrestling unique from other sports? There is no other sport like wrestling. Wrestling is personal. Wrestling is close quarter combat with rules. Wrestling is grueling. Wrestling is you versus me. You can’t simply ‘try’ wrestling; you must ‘commit’ to wrestling. You step on the mat with the single purpose of dominating and conquering your opponent both physically and mentally. There are no teammates out there with you. There are no huddles, timeouts or rest periods. You have one goal — get your arm raised by the referee. There is nothing like it. To know in your heart that you have and will continue to do your best in all things; to seek excellence in all endeavors; to be loved and respected by those who truly matter to you; to be a trusted and valued friend, co-worker or colleague; to have positively affected others along your life journey. Success is no accident; it is hard work. Success is a choice.